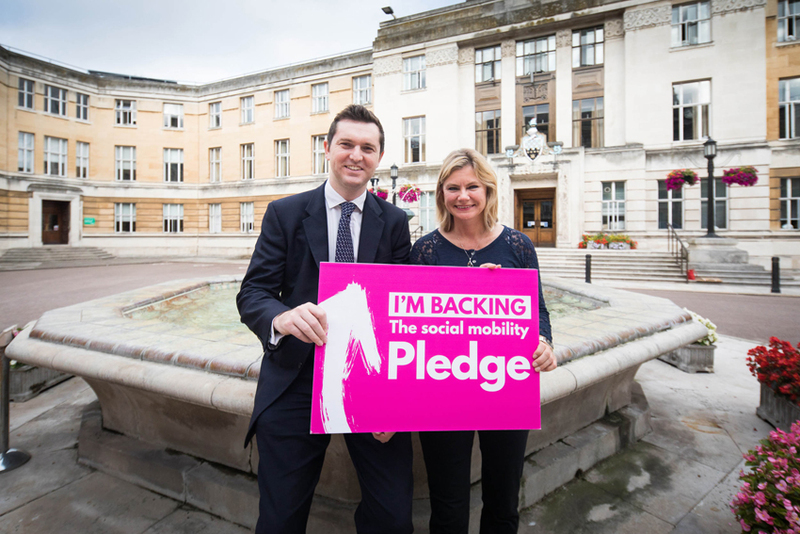 Wandsworth has signed a pledge to do all it can to increase social mobility in the borough, and has vowed to build on work already done to improve the life chances of all its residents and staff. The pledge is the brainchild of Justine Greening MP and covers three main areas: working in partnership with schools to ensure quality careers advice and mentoring, providing access to structured work experience and apprenticeship opportunities and having open recruitment practices to promote a level playing field. Becoming a Social Mobility Pledge accredited employer demonstrates the council’s commitment to these goals. It is the first local authority to do so and joins 135 other employers who have signed up to the pledge so far. Increasing social mobility is already embedded in the council’s work through its Aspirations project launched in 2013. This sets out to regenerate whole neighbourhoods, create more homes, help people get into work and encourage people living in Wandsworth to aspire to better, safer, healthier lives. 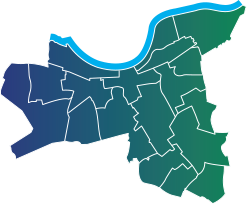 It is particularly targeted on wards in Battersea and Roehampton. The council’s Lifelong Learning service has been working with schools to help young people access skills and employment opportunities. This has led to more than 1200 work experience placements annually, 160 apprenticeships and 40 people undertaking pre-apprenticeship and traineeship programmes. The council’s Work Match team has helped a thousand people into work so far and aims to help local people benefit from the opportunities created by regeneration of Nine Elms. 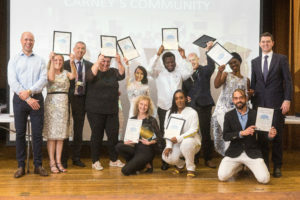 There have been targeted public health programmes, and Building Homes for Wandsworth People, one of the biggest council housebuilding schemes in the country, will see a thousand new homes built – more than 600 of them for shared ownership and low cost rent and all prioritised for people living or working in Wandsworth. There will also be better legal protection for private renters. As an employer, the council will soon be implementing a ‘blind’ recruitment policy, which means people are judged only on their skills. It already provides training to help managers prevent unconscious bias when considering people for jobs. Wandsworth has also been awarded Disability Confident Employer status by the Department for Work and Pension because of its commitment to ensuring people have the opportunities to fulfil their potential. The council’s spokesman for economic development, skills and employment, Cllr Rory O’Broin, said: “We’re delighted to sign up to this pledge, as at the council has always put aspiration and social mobility at the heart of its work.